Accuflow was founded in 1994 by Dr. KT Liu, PE and is located in Bakersfield, California. 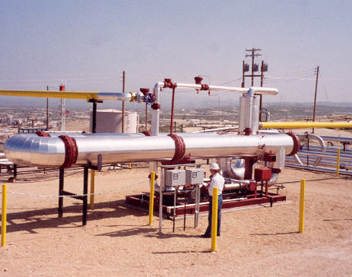 Accuflow is recognized as a leading global supplier of well test measurement systems in the petroleum industry. Highly innovative and accurate, Accuflow brings a new set of standards to oil field measurement. Dr. Liu has been part of the Oil & Gas industry for over 35 years doing research and development for flow measurement. He has pioneered the way for many of the current measurement technologies and applications and is regarded as one of the premier minds in his field. Accuflow constantly looks to improve upon itself by keeping up with its own research and development efforts as well as taking from extensive in field experience. The result is a system designed with current, up to date technologies.